Best Babysitters Ever GIVEAWAY! | YAYOMG! NOTE: An advanced copy of Best Babysitters Ever was provided to us by HMH Kids and they are partnering with YAYOMG! for a giveaway. Giveaway details below. As lifelong fans of the iconic Baby-Sitters Club series by Ann M. Martin, we were so excited to see an updated take on girls starting up their own babysitting business. 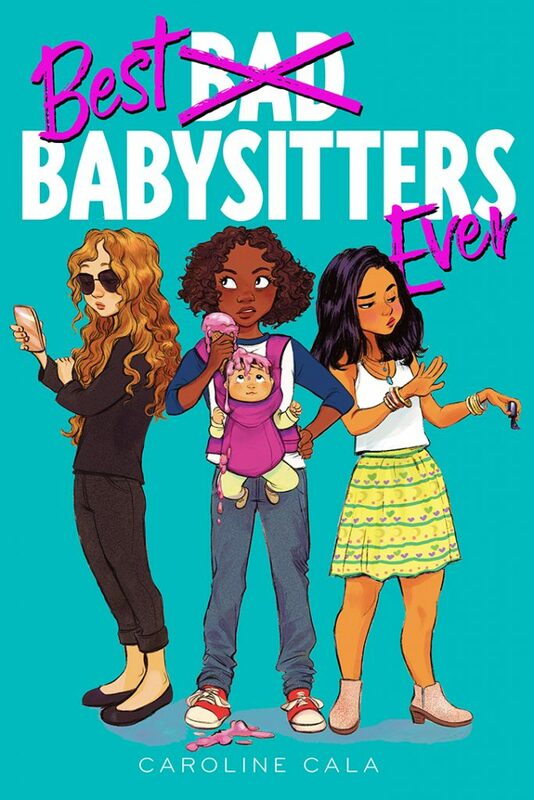 Best Babysitters Ever is totally hilarious and relatable, a total must-read. We teamed up with HMH Kids to kickstart your own entrepreneurial goals. 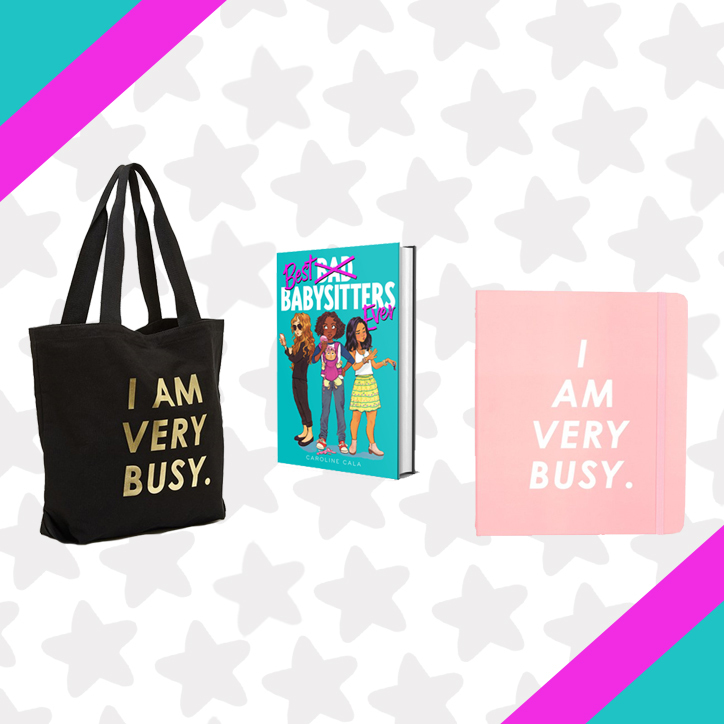 Whether you want to start your own babysitting business or have other dreams in mind, our Best Babysitters Ever Prize Pack has everything you need to kick things into motion. Enter below for your chance to win! Here’s why we think you’ll love reading Best Babysitters Ever! Malia, Dot, and Bree are all extremely different, but they’re supportive of each other and love to have fun. Despite their occasional drama, these girls prove that if you stick together, anything is possible! Their friendship feels so realistic, as do all of the choices they make throughout the story. We’re super excited to see what’s up next for them when the sequel releases later this year. When Malia found herself faced with a problem, like a true entrepreneur, she put gears in motion to solve it. Sure, her problem wasn’t exactly life-altering or anything, but when you’re in middle school, throwing an epic party at a chance for popularity feels like the most important thing in the world. Malia, Dot, and Bree may not have always had the right answers or the most selfless intentions, but there’s no doubt that they’re capable of channeling their inner lady bosses. They face everything from idea-stealing older sisters to wild little kids by sticking together and having each other’s backs. Mishaps and mistakes aside, starting a babysitting business when you’re in middle school is actually a great idea for a few reasons. You’ll learn lots of super useful life skills and it’ll look great on future resumes and college applications. Part of the reason Best Babysitters Ever is so much fun is how easy it is to relate to. Malia’s desire to fit in at school and get noticed by her crush have her going to extremes. We’ve all been there, especially when feeling vulnerable or like we weren’t good enough. Imagine the pressure of trying to live in the footsteps of Malia Obama? We’d be trying to rebrand, too! Making and learning from your mistakes is what growing up is all about! We applaud these girls for taking big risks and learning as they go. You must be 18 or older to enter. If you are under 18, please have a parent or guardian enter for you by filling out the form below by February 20! Giveaway begins on February 6, 2019 at 03:00 pm ET and ends on February 20, 2019 at 11:59pm ET. Open to US residents ONLY. Please, only ONE entry per person. Looking for even more relatable reads about middle school? Check out this New Kid inspired mini-comic about fitting in and making friends.